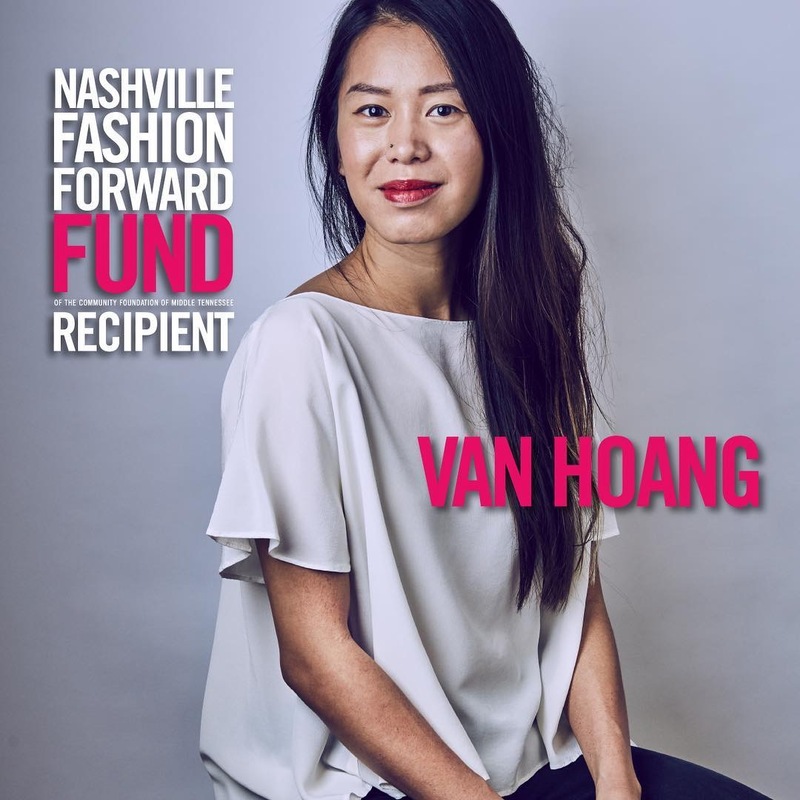 O’More College of Design 2009 alumna Van Hoang was named the Nashville Fashion Forward Fund Award Recipient of 2018. The Nashville Fashion Forward Fund Award is an endowed fund that provides an annual financial award and resources to the next generation of fashion industry professionals with ties to Middle Tennessee. Funds are raised for the award through Nashville Fashion Week, a five-day celebration that spotlights Nashville’s growing fashion community. Hoang showed her work at Nashville Fashion Week in 2015 and at Charleston Fashion Week in 2011. She received her B.F.A. in fashion design and merchandising from O’More School of Design. Hoang continued her education by earning her M.A. in Design for Sustainability from Savannah College of Art and Design. Sustainability is at the core of Hoang’s design philosophy. She wants to be a part of the change that ensures there is a healthy planet for others that come after us to thrive. Her triple bottom line is people, planet, product. Through her work, she wants to change how people perceive sustainable fashion, understanding that the two are not mutually exclusive. Hoang’s mission is to give the customer an alternative to what has become the traditional fashion system. Hoang recently applied to attend the Copenhagen Fashion Summit, a global conference on sustainability in the fashion industry where world leaders, innovators and designers meet to share new ideas and processes of sustainability in fashion. If she has the opportunity to attend, Hoang hopes to network and discover innovative solutions.